Inspiration taken from: mrserinjohnson.blogspot.com, and Etsy shops DoorDecorMore, SimplyBlessedGift and WhimsyChicDesigns. Check out their fantastic creations! Description: Learn how to make this versatile, 14-inch, burlap wreath and a variety of handmade fabric/felt/burlap flowers. You choose the style – lots of options to customize for any occasion! 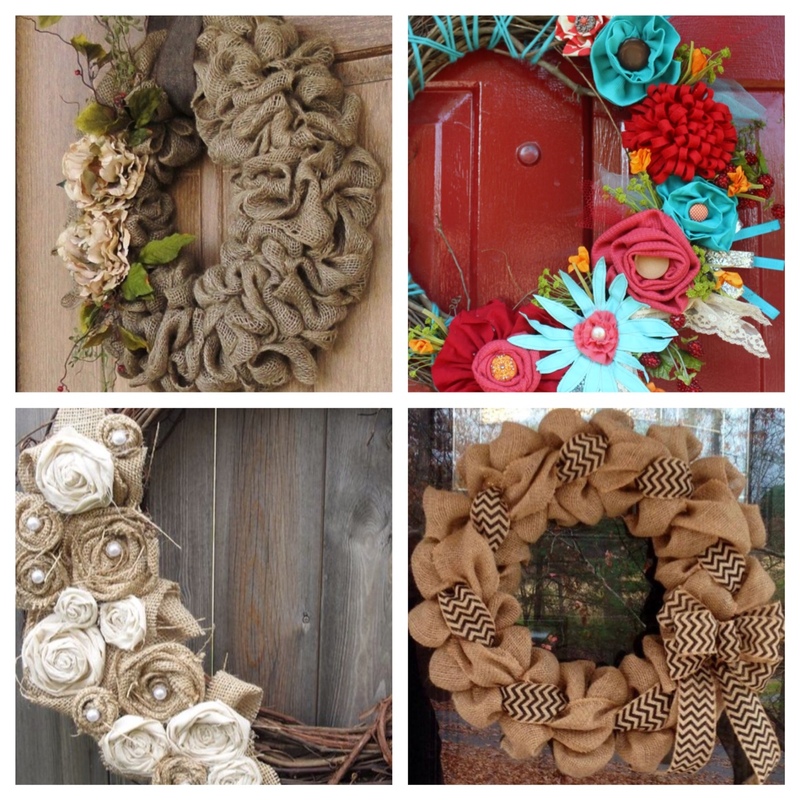 The attached pieces will be removable so you can change your wreath every month with new décor. All supplies are included and no experience is necessary! RSVPs for this craft are due by Wednesday, May 27 so we have enough supplies. Kits are available for this craft. Click on the registration page below to order.